HyperText Transfer Protocol Secure (or “HTTPS” ) is the internet standard for secure communication between your browser and any web server. HTTPS is encrypting the communication end-to-end: only your computer and the web server can see what data gets transmitted. 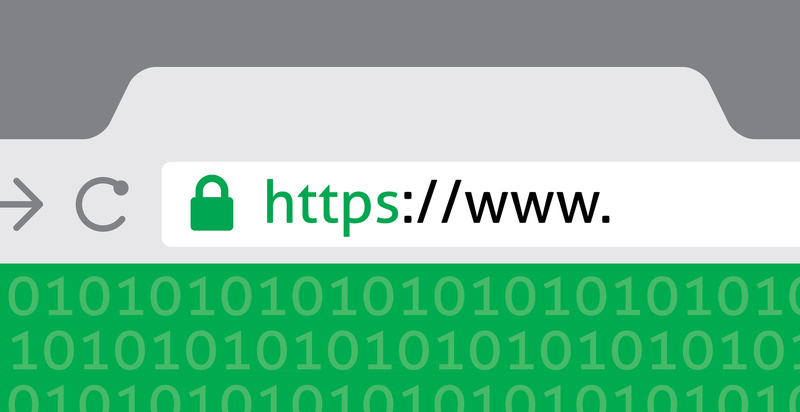 Additionally, HTTPS provides a mechanism to guarantee authenticity: You can be sure you are connected to the right server as long as the green lock icon displays in your address bar. The question “Why should I care about HTTPS?” is an easy one to answer: Because Google says so. According to Google – HTTPS is now a ranking signal among some other factors. Your data is encrypted and secure. No plain text is ever passed. This is an important aspect of e-commerce transactions but also for even logging into your website. Avoid the Chrome warning that is coming in January 2017 which is going to mark HTTP pages that collect sensitive information as non-secure. Why websites owners might choose not use HTTPS? There is one overwhelming reason why sites might opt not to implement HTTPS: cost. ChemiCloud offers FREE SSL certificates with Let’s Encrypt. According to the latest Let’s Encrypt stats, the number of sites using Let’s Encrypt has been growing fast. As of March 2017, they already have over 26 million active SSL certificates. On average in February 2017 they were issuing over 265k+ SSL certificates per day. We have Let’s Encrypt integration, which means free SSL Certificates for all of your websites hosted by us. The renewal process is entirely automated, which in turn saves you time. What does free SSL Certificates mean for you? Thanks to Let’s Encrypt, the process of getting an SSL certificate on your website and moving to HTTPS become a lot easier! And it is fully automated. When you are adding a domain name to your hosting account with us, our system will automatically install a free Let’s Encrypt SSL certificate for your domain within minutes. The SSL certificates from Let’s Encrypt expire every 90 days. However, our system renews them for you automatically behind the scenes. If you have been thinking about moving to HTTPS, now is the time!